Something wonderful arrived in the mail today. 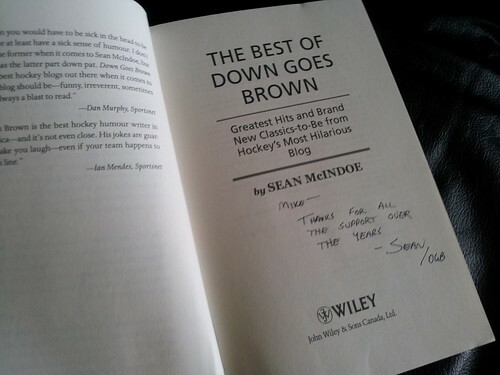 I received my copy of The Best of Down Goes Brown, a collection from the funniest hockey blogger I know. I can't remember when I first discovered Down Goes Brown, but it might have been when he was fake Brian Burke on Twitter. That feed gave me many belly laughs. Shortly thereafter, Down Goes Brown really boiled my potatoes by claiming the Leafs won the Courtnall - Kordic trade. I'm getting upset just thinking about it. Regardless, Down Goes Brown is the funny I wish I was, and I can't wait to dive into his book. You can order today from sites like Amazon.com, Amazon.ca, Barnes & Noble, Chapters/Indigo, or directly from Wiley. And use those links so DGB can pick up a little extra affiliate cash from the sale. As much as I like his tweets, he has the WORST handle in all of the twitter-sphere. I saw that book in Chapters last weekend. I didn't realize it was *THE* Down Goes Brown... I'll go back and take a look! Maybe I'll get one and ask for it to be signed!! You surmised there was somehow *another* DGB? 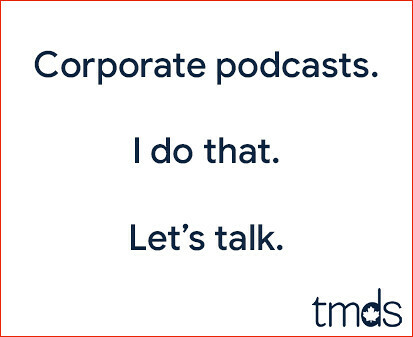 Inconceivable.